Dang son — I always knew you were a baller. Oh what? 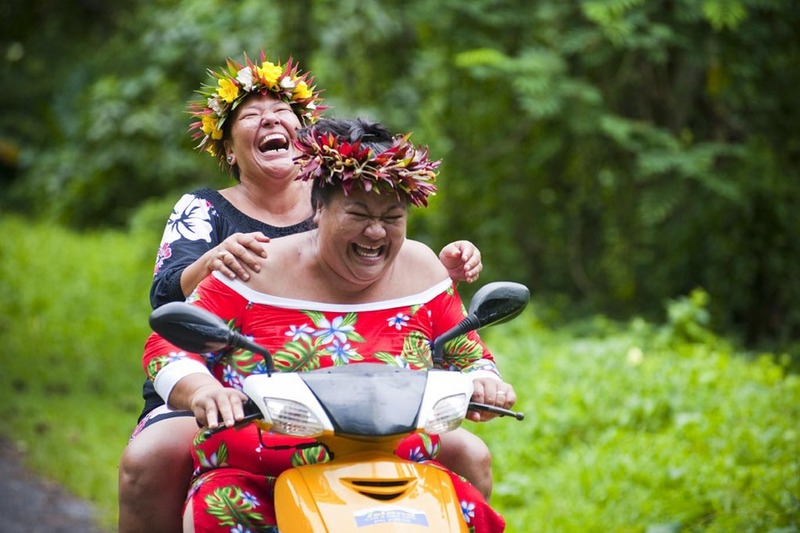 You got your business-class tickets to the Cook Islands for under $2Gs? Well, that explains that glide in your stride and the dip in your hip. For a limited time, Air New Zealand is making it easy to live the dream as long as you’re ready to act fast. The airline is offering reduced roundtrip fares from LAX to Rarotonga (RAR) in the Cook Islands for $838 in economy class and $1,998 in business class. Travel dates must be between Aug. 14, 2014 and Jan. 25, 2015. Tickets must be booked by July 31. The nonstop flight is about nine hours in length and takes place overnight. If you’re in business class, that means you can knock yourself out with some complimentary champagne and recline in your leather armchair, complete with an ample seat pitch and a 15-inch seat recline. Once in the South Pacific’s Cook Islands, try stand-up paddleboarding in its crystal-clear lagoons, kite surfing, diving, snorkeling or go on an interior-island hiking tour. Whatever the case, you’ll soon find out that this destination is like no other. No hotel is taller than a palm tree. Just around 15,000 locals call the islands their home. Tipping is not expected. No commercialization exists there, including chain hotels, restaurants and chain stores. There isn't a Starbucks in sight. Sounds pretty good, eh?